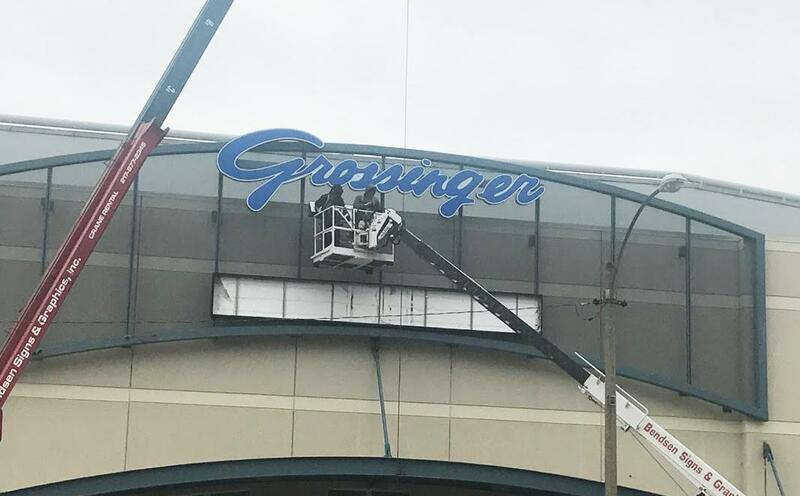 The new sign is installed outside Grossinger Motors Arena in downtown Bloomington on Friday, Oct. 27, 2017. After months with a relatively light events calendar, Grossinger Motors Arena announced three new bookings: Kenny Rogers on Dec. 7, World Championship ICE Racing on Jan. 6, and Judas Priest on April 8. Those shows will follow the comedian Jim Gaffigan's visit on Dec. 3. But the arena also got some bad news: The Central Illinois Flying Aces announced they were moving their first four “home” games to Peoria, over safety concerns with the boards and glass at the Bloomington arena. The lost home games will cost the arena thousands in lost revenue. Those ups and downs have been the norm at Grossinger Motors Arena, formerly called U.S. Cellular Coliseum, since VenuWorks took over management duties in April 2016. VenuWorks’ first local executive director was arrested on theft charges. 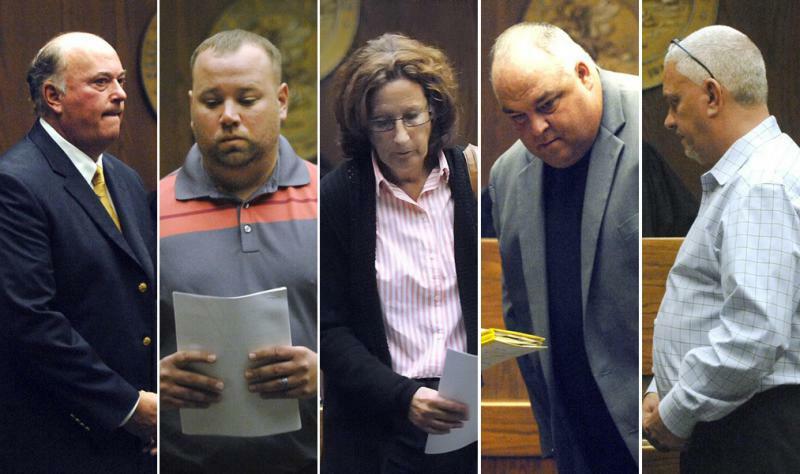 As things stabilized, the indictments against the Coliseum’s former managers, Central Illinois Arena Management (CIAM), were announced. "We're going in the right direction. It's been a long road, but all arrows are pointing up." “We’re going in the right direction. It’s been a long road, but all arrows are pointing up,” said Lynn Cannon, executive director at Grossinger Motors Arena for the past 10 months. In the fiscal year ending April 30—the first under VenuWorks’ management—the venue posted a larger-than-expected operating loss of $673,518. VenuWorks blamed several factors, including a “rough transition” from CIAM. VenuWorks also accused CIAM of leaving the city with an “under-utilized” fall calendar with very few events. Attendance last year dipped to 159,746, half what the venue saw in 2008 and 2009, according to city records. This fall’s schedule was indeed lightly booked. Some of that was intentional; the hockey boards and glass are being repaired and replaced, meaning the arena needed to be unoccupied on certain dates. During an Oct. 9 Bloomington City Council meeting, City Manager David Hales asked VenuWorks President Steve Peters to address “questions about bookings” because “sometimes this fall has been a little dry.” Peters noted the hockey repairs as one reason, but also a larger strategic shift. “We’re getting there. But this was an arena that was known as paying top dollar for events, and sometimes that’s not warranted. And we’re repositioning that,” Peters added. Indeed, the arena’s Hank Williams Jr. show Sept. 28 lost $76,730, due to low attendance (1,485 people), records show. More recently, the four “Paw Patrol Live” shows on Oct. 21-22 made a $21,124 profit, drawing more than 4,200 kids, parents, and grandparents. Cannon said her arena is competing against similar venues 45 minutes in either direction—the Peoria Civic Center and State Farm Center in Champaign-Urbana. Other problems have been partly self-inflicted. The original boards and glass installed in 2006 around the arena’s hockey rink were not meant to be repeatedly removed and re-installed for different types of events. That wear and tear left the boards in dire need of replacement—something the city knew about as early as 2015. 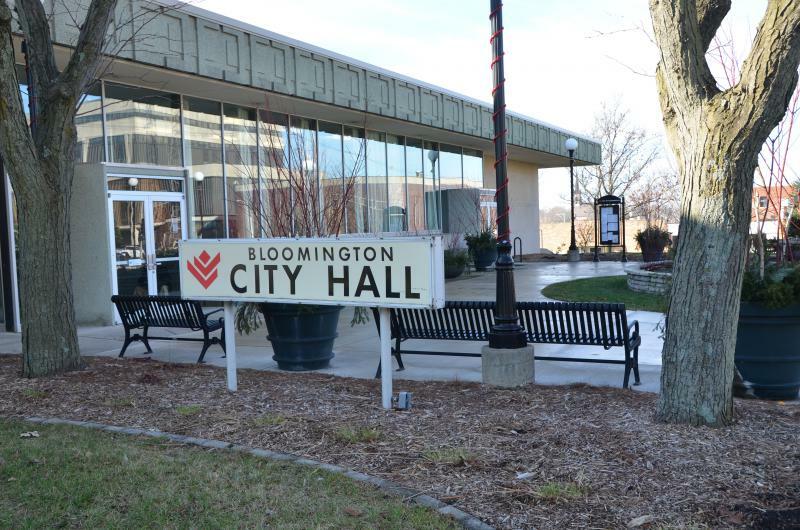 The Bloomington City Council, however, didn’t approve funding for the $187,870 project until August. Stopgap repairs are now underway, and the new boards and glass will be installed in December. Those delays, however, prompted the Central Illinois Flying Aces to push back their home opener twice, most recently to Nov. 10. Five home games were lost from the schedule, including four that were moved to Peoria. 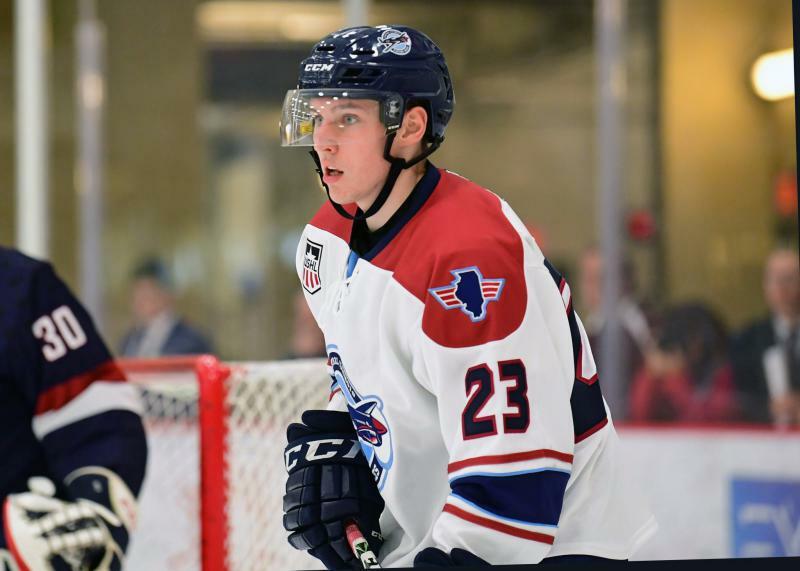 During the offseason, the Flying Aces were “very adamant” that they would not be willing to play at the arena unless the boards were fixed, said team chief operating officer Brendan Kelly. The $187,870 isn’t the only cost being incurred by the city. Toward the end of last season, each hockey game was generating between $3,100 and $6,400 in profit for the arena, mostly through a building rental fee and food and beverage sales. That money is lost. And if the rebranded Flying Aces draw more attendance than last season—when they played as the Thunder—the lost profit would be even greater. The Bloomington Edge indoor football team will return to the arena Feb. 26. Edge owner Omar Khokhar said he’d like to see VenuWorks shift to a more “synergistic” approach to working with sports tenants, so the team isn’t just a renter but a partner. “If we win, the venue wins,” he said. The changes in VenuWorks’ local management have been challenging, Khokhar said. VenuWorks has had two interim directors and two permanent directors (mostly recently Cannon), he said. The future of pro basketball at the arena remains uncertain. The Bloomington Flex, which last played in the Midwest Professional Basketball Association (MPBA), ceased operations in 2016. Cannon said she’s hopeful basketball will return to the arena. The MPBA typically plays from January through April. When the Flex ceased operations, there was a balance due on their rental agreement with the city, said Ed Schumer, the MPBA’s commissioner and CEO. The MPBA made a “significant payment” to the city to settle a “significant portion” of that debt, Schumer said. The MPBA’s two other contracts with the city were paid in full, Schumer added. The MPBA has been working on a new three-year agreement with VenuWorks and the city, but Schumer was told “there was now an issue with the previous past due amounts of the Flex account,” he said. Schumer said he provided the city with more information and documentation Oct. 18. More information on the basketball negotiations were not available from the city Monday. VenuWorks’ performance at the arena will certainly weigh on aldermen as they decide whether to hire the company to run the Bloomington Center for the Performing Arts too. The city would pay VenuWorks $3,000 monthly to run the BCPA, under one proposal. VenuWorks says the change would save the city around $300,000 annually, primarily though personnel who could serve both city-owned venues. Aldermen discussed it Oct. 9 but haven’t taken action. Mayor Tari Renner said he wants to learn more about VenuWorks’ proposal to run the BCPA before deciding whether to support it. He likes the company’s openness and transparency so far at the arena.